Part 2: What is a Credit Card Flash Drive? Part 4: What If your Credit Card Flash Drive Data is Lost? What is a Credit Card Flash Drive? 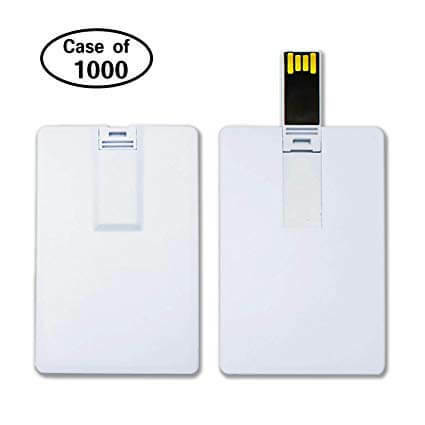 The credit card flash drive is a form of USB flash drive that has the shape and size of a credit card. 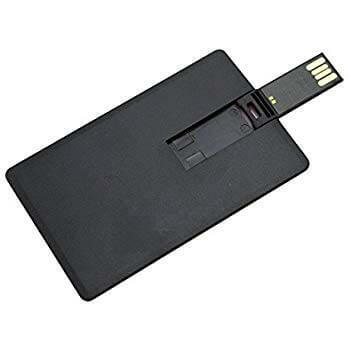 The best advantage of a credit card flash drive is that it can easily fit into your wallet because they are designed to be 2.2mm thin and as such the thinnest USB card in the world. 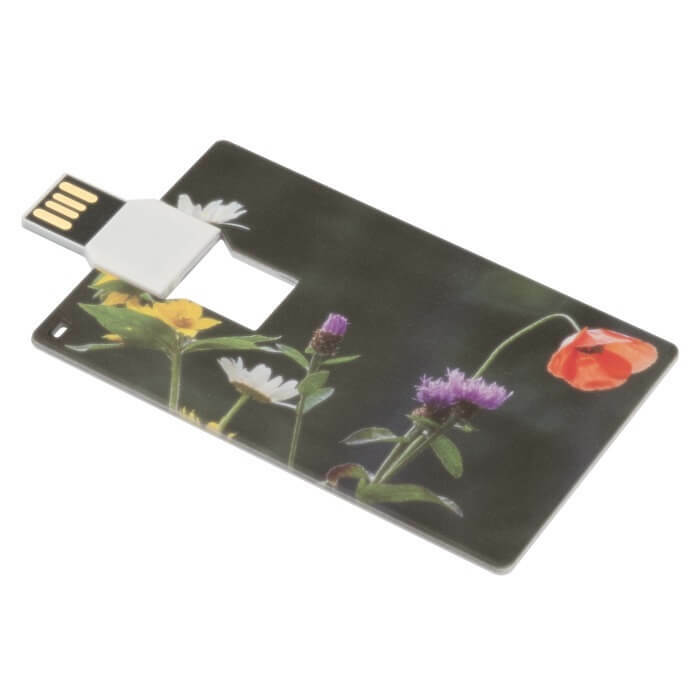 Many business establishments and brands use credit card flash drives as their business complementary cards, which serves as a form of advertisement and brand promotion. This is possible because many credit card flash drive manufacturers can customize a credit card flash drive to bear a brand’s logo and other trademarks. Before we proceed on how to select a good credit card flash drive, we would like you to note that there are no special measures in choosing it. Hence, a credit card flash drive should be chosen just like a normal flash drive, but you can also consider the following factors. Choose a good design of credit card flash drive for convenience. 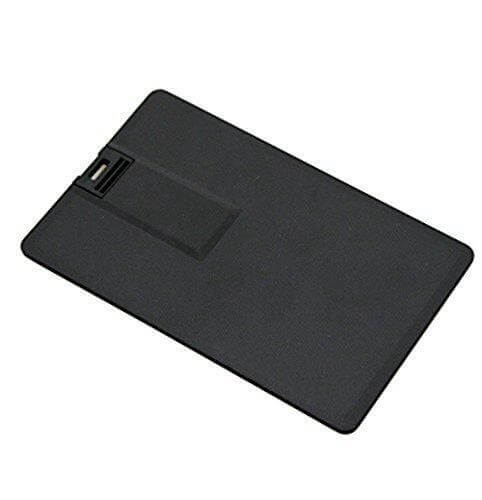 You should look out for reviews on the durability of a credit card flash drive because the design is sleek, and can easily break if the material is not strong. Space and tech specifications should be considered before choosing a credit card flash drive so that it can serve the purpose for which you acquired it and offer some level of data protection. The Aneew 32GB Black Credit Bank Card USB Flash Drive Pen Drive Memory Stick is one of Amazon’s top-selling credit card flash drives. It’s nice looking and high quality, and a good choice for data storage, data backup, and transfer of PC files. It’s also a great gift for friends and family, useful for school works, and useful for storing business and personal files. Size: 3.3 * 2.0 * 0.1 inches. Writing and Reading speed 3MB/s and 10MB/s respectively. Supported operating systems: Windows 10/8/7/Vista/XP/Me/2000, Mac OS X, and Linus 2.6x. Amazon current Price: $11.98 USD. The Gadget-Station 16GB Personalized Credit Card Flash Drive is a metal designed flash drive that can be customized totally for free, it offers a variety of storage capacity to choose, and is easy to read and write in high speed, backup and transfer files without hassle. Reliability: it’s reliable and secure for file storage, transfer, and backup. Amazon current Price: $15.99 USD. If you need a bulk business credit card flash drive for your promotional campaigns, then you need to go for a design that offers you 20 pieces of credit card flash drives for just $53.99 USD. Kexin 2GB Bulk Business Credit Card Flash Drive offers quantity, durability, and a flat surface card to stick your business logo. Flat surface for business logos and stockers. Size: 3.38 * 2.0 * 0.07 inches. Operating system: Windows 10/8/7/Vista/XP/Me/2000, macOS, and Linus 2.6. Quantity and price: 20 flash drives for $53.99 USD. What If your Credit Card Flash Drive Data is Lost? Data loss is one of the problems we experience while using a credit card flash drive. Many common issues result in credit card flash drive data loss, and some of them include accidental deletion, data loss due to inappropriate use of flash drive, power fluctuation, and accidental drive formatting. However, iMyFone AnyRecover can help you to recover data from a credit card flash drive in any of these data loss situations. Note that iMyFone AnyRecover is the best rated and most recommended data recovery tool presently, and as such, you shouldn’t harbor any doubts whether AnyRecover can retrieve your lost files or not. Supports data recovery from credit card flash drives, other removable flash drives, and non-removable hard drives. Support data recovery from memory cards, USB drives, camcorder, digicams, recycle bin, hard drives, etc. All suddenly deleted data, formatted data, and lost files can be recovered using AnyRecover. It’s compatible with the latest and earlier versions of Windows and Mac computers (haven't released). Step 1. Launch AnyRecover on your system and select “External Device Recovery” mode. Step 2. Connect your Credit Card Flash Drive to your computer, select the disk type and click “Next”. Step 3. Check the box at the edge of the type of file you want to recover and click “Scan”. Step 4. Preview the scanned files, thick the box close to the files you want to recover and click “Recover”.